Panasonic has whisked up the spanking new Leica DG Vario-Elmarit 8-18mm f/2.8-4 ASPH wide angle zoom for Micro Four Thirds shooters. Serving up a optical range equivalent to a 16-36mm lens in a 35mm system, the Leica 8-18mm looks to find its way into photographers shooting interiors and landscapes to environmental portraiture and street photography. There’s a non-rotating – and rather hefty – 67mm filter thread allowing users to mount a variety of creative filters such as polarisers and ND grads, while inside lurks 15 elements in 10 groups. The lens system features an aspherical ED (Extra-low Dispersion) lens, three aspherical lenses, two ED lenses and an UHR (Ultra High Refractive Index) lens, which is designed to suppress spherical distortion or chromatic aberration to achieve high resolution and contrast from centre to corners. Released in May, the pricing sees us Brits being laughed at with the lens going for £1049 in Blighty and $1,098 in the States. Even with the crap exchange rate, this is still a rip off. Bah! 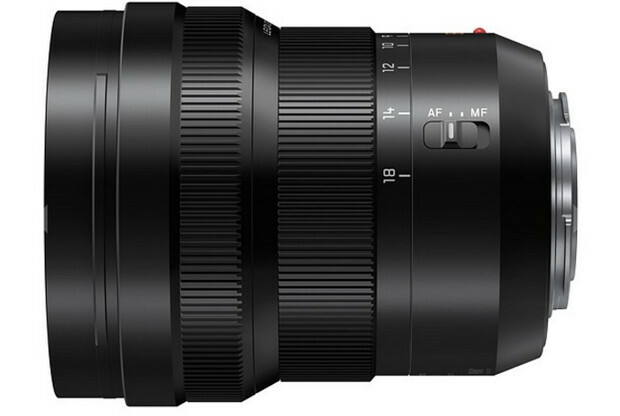 Panasonic today introduces a new wide zoom lens, the LEICA DG VARIO-ELMARIT 8-18mm / F2.8-4.0 ASPH. (35 mm camera equivalent: 16-36 mm) as the second lens within the LEICA DG VARIO-ELMARIT F2.8-4.0 Series. Covering a focusing distance from ultra wide angle to super telephoto, this new LEICA DG VARIO-ELMARIT F2.8-4.0 Series achieves superb picture quality and high performance for both photo and video recording and yet its size is kept compact. All lenses take advantage of Panasonic’s Nano Surface Coating technology to minimize ghosts and flaring. Boasting a rugged, dust/splash-proof design, the lenses are even freeze-proof down to -10℃ to withstand professional use under harsh conditions. The high-quality video recording capability is also one of the advantages of this lens series. The new LEICA DG VARIO-ELMARIT 8-18mm / F2.8-4.0 ASPH. offers a zoom range of ultra wide 16mm to versatile 36 mm (35mm camera equivalent). It covers a variety of daily shooting situations, from dynamic landscapes to snapshots. 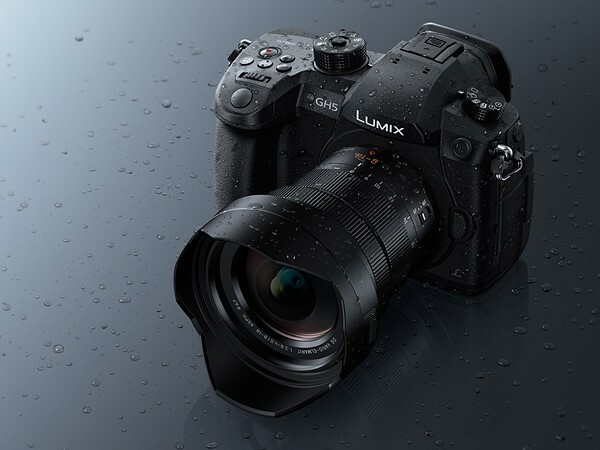 Taking advantage of the F2.8-4.0 high-speed performance, it is suitable for capturing starry sky or a night scenery. ND or PL filter (67mm) attachments enable the lens to be flexible while at the same time the filters become creative and useful tools for photographers or videographers. Comprising 15 elements in 10 groups, the lens system features an aspherical ED (Extra-low Dispersion) lens, three aspherical lenses, two ED lenses and an UHR (Ultra High Refractive Index) lens. The use of these lenses effectively suppress spherical distortion or chromatic aberration to achieve high resolution and contrast from center to corners, ensuring amazing picture quality. The sensor drive at max. 240 fps enables to take full advantage of cameras with high-speed, high-precision Contrast AF. It also helps to reduce wobbling, ensuring smooth and crisp videos. Notably, the new lens excels in video recording performance. In addition to the silent operation achieved by the inner focus drive system, the micro-step drive system in the aperture control section helps the camera to smoothly catch up to brightness changes when zooming or panning. The optical design achieves exceptional barycentric stability to minimize image shifts during zooming. Thanks to high-speed frame analysis for focus control, the AF tracking performance in zooming is also improved. Offered in sharp, metallic black color, the LEICA DG VARIO-ELMARIT F2.8-4.0 Series stylishly matches the LUMIX G Compact System cameras. The lineup will expand with additional 50-200mm (100-400mm, 35mm camera equivalent) telephoto zoom lens. The LEICA DG VARIO-ELMARIT 8-18mm / F2.8-4.0 ASPH will be available from the end of May (RRP £1049).